The Southern blast swept through over the weekend dropping us straight into Winter. The good news is that the water's still hanging in there at 22 degrees so it's 10 degrees warmer in the water than on the beach. 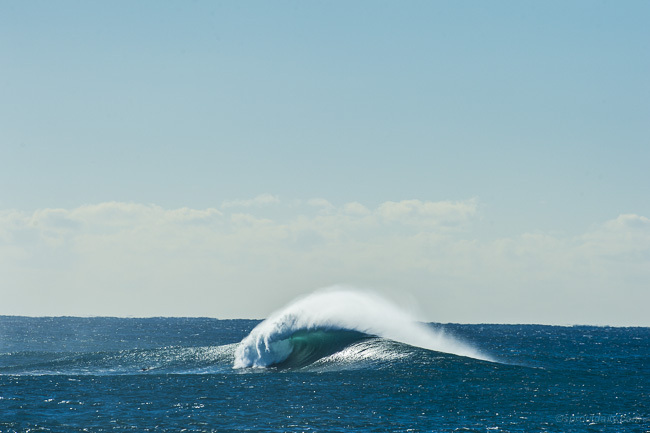 The cold change has delivered a solid dose of South Swell. Yesterday the swell went from 1ft in the morning jacking up to 6ft at South facing beaches by the afternoon. This morning there's some even bigger sets on the outer bombies and plenty of clean and groomed options from Manly to Long Reef. There's another spike of South Swell due for Wednesday, Thursday; should be a good week of swell!